The BEST way to enjoy The Philadelphia Orchestra: Subscribe! Save: Subscribers get the best deal of the season. Save up to 30% when you purchase a series. Also receive discounts on additional tickets when added onto your order. Exchange: Schedule conflict? No problem. Simply exchange your subscription tickets easily, quickly, and for free online or over the phone. Park: Enjoy the convenience of discounted pre-paid parking at Avenue of the Arts Garage (northwest corner of Spruce and 15th Streets), available in advance only for subscribers. Dinner and a Concert: In partnership with our neighboring restaurants, subscribers can dine in style and save! 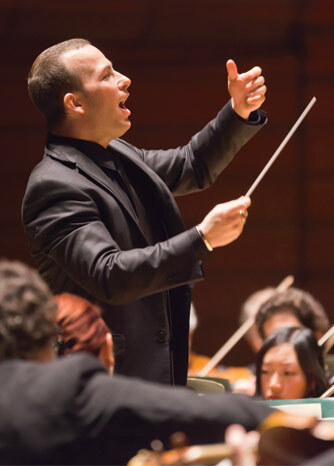 Enjoy a preconcert dinner with savings and benefits exclusive to Philadelphia Orchestra subscribers. Explore: Learn more about the music you will hear at our free PreConcert Conversations held one hour prior to every Philadelphia Orchestra subscription concert. Choice: Enjoy the flexibility of choosing a concert package that is personally tailored with the Create Your Own 6 concert series that allows you to choose 6 concerts from any subscription series, including the Beyond the Score and Family series.